Ahead of the emergency meeting of the National Judicial Council (NJC) today (Tuesday), the office of the attorney-general of the federation (AGF) has sent a list of criminal allegations against Water Onnoghen to the body, TheCable has said. Insiders at the ministry of justice informed TheCable that the petition contains a number of damaging allegations against the chief justice of Nigeria (CJN), including bank statements and title deeds of properties said to have been traced to him. The CCT adjourned indefinitely on Monday, saying it was obeying an order of the court of appeal. TheCable earlier reported that members of NJC have summoned an emergency meeting for Tuesday to discuss the crisis that has hit the judiciary following the suspension of Onnoghen and the appointment of Ibrahim Mohammad as the acting CJN — two presidential actions that have become a subject of controversy and litigation. Neither Onnoghen nor Muhammad will preside over the NJC meeting, sources told TheCable, with strong indications that the body would act decisively to put the controversy to rest. WHAT DO NJC RULES SAY? According to the rules guiding the conduct of NJC meetings, five or more members can summon a meeting subject to a request made to the chairman. TheCable was unable to confirm if this requirement was met. 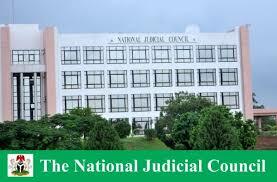 WHAT ARE THE POWERS AND DUTIES OF NJC?